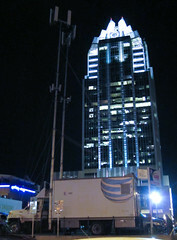 The company I work for was recently bought out by AT&T. They had us turn in our resumes with promises of job interviews that never happened. They just wanted us to stay to handle the transistion and lied about job opportunities with them. All of us that did apply for jobs with them through the normal channels, never heard back from them. Anyone working for T-Mobile should start looking for work asap. Actually, T-Mobile does have one thing going for it. Because the acquisition is carrier to carrier, it has to go through government approval. Now, that’s not really saying much since most politicians will not think for people’s jobs and instead are on the take from lobbyists, but that’s just my personal opinion. I have little faith that the government will actually stop this transaction, although it’s the right thing to do. I believe that if economics were better, it wouldn’t be as big a deal, but at this moment in time in American history, I think it’s just digging ourselves in a hole that we don’t want to be in.